Terminal V returns 26th October 2019 to The Royal Highland Centre for a mammoth Halloween extravaganza!t! 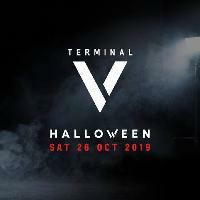 To buy tickets for this event please visit the events page: Terminal V - Halloween 2019 event tickets. Terminal V returns 26th October 2019 to The Royal Highland Centre for a mammoth Halloween extravaganza, with the biggest electronic music artists on the planet!